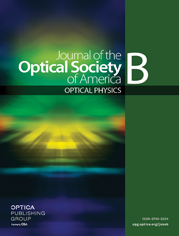 We report an experimental study of the nonlinear propagation of femtosecond pulses in solid-core photonic bandgap fibers. An extreme deceleration of the soliton self-frequency shift accompanied by a spectral compression is observed near the photonic bandgap edge. In practice, this extreme deceleration is equivalent to a suppression of the soliton self-frequency shift and so to a stabilization of the soliton frequency. The physical origin of this phenomenon is discussed with the help of numerical simulations. Finally, a simple model is proposed to identify the main physical mechanism responsible for the extreme deceleration of soliton self-frequency shift. In the case of our fiber design, it is mainly due to the strong third-order dispersion experienced by the soliton as it approaches the photonic bandgap edge.